CasinoLuck had a very lucky player last week. Markku P from Sweden made a €150,- deposit and only played one game, Gonzo’s Quest Touch, the mobile version of Gonzo’s Quest. The lucky player was able to turn this €150,- into a massive €25.000,- win! That’s more than 166 times his initial deposit. Very nice indeed. How exactly is not specified, but I am sure this player must have bet big and gotten very lucky. 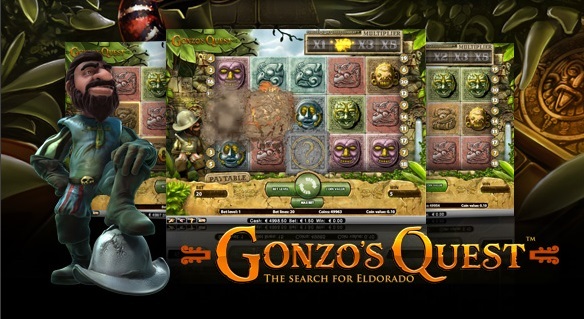 As some of you might remember, Gonzo’s Quest recently turned 5 and is still one of NetEnt’s most popular slot games. And imitated a lot by other providers because of this. At CasinoLuck you are able to play all NetEnt games, but also a huge amount of games from other providers like NetEnt, Play’n Go and others. A total of more than 800 games are available at CasinoLuck. New players will receive a 100% first deposit bonus up to €150,- and 100 free spins. These free spins can be used on Starburst, Jack and the Beanstalk and, how nice, Gonzo’s Quest.